It was a day that every T1D parent has in the back of their mind. A day where they let go of their control and hand over the reins to their T1D child. No matter the age of that child, it’s scary for the parent and this was no exception for us. Our daughter was asked to join a winter camping weekend with her fellow Girl Guides. She joined them just over a month ago. 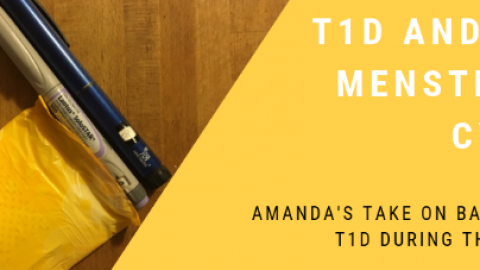 They do not have any real T1D training, which we are fine with as she is only at their regular meetings for 1.5 hrs and we are not that far away if needed. However this trip was a different story: parents were not permitted to attend the trip. This made us uneasy, but our daughter was so excited to be able to go and be a kid without us “supervising, hanging around or volunteering.” So we took a deep breath…poured a glass of wine (or my case maybe 2 glasses) and told her she could go. We told her this was great practice for her and us in regards to her T1D skills. When we announced our plan to friends and family a few were concerned that she would be doing everything herself, even overnight. What many people don’t realize is that Charlee, at 10 years old is a T1D veteran and has been managing her diabetes for 8 years. Our approach to this disease (even with our T1D son, Anthony) has always been for her to participate in her management, from the beginning. She was diagnosed at the age of 2 and within a week we were guiding her how to check her own BGs She would give herself (with us assisting) her shots within the month. She would even help us weigh food. As she grew so did her knowledge about herself and her t1d. So we were confident that she she would succeed…but would we? 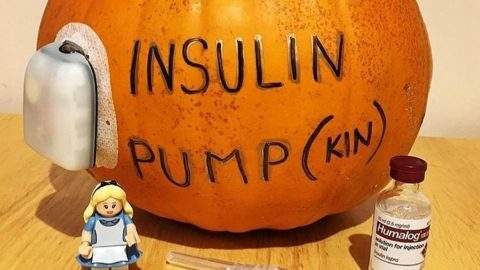 Would we as T1D parents be able to release the reins even for a weekend? So we read through all the documents, we contacted the camp they were staying at and spoke with the owner as well as their camp nurse, who was not going to be on duty. I wasn’t contacting them to see if they had T1D training, only to find out if they had good cell service there. I chuckle about that now….but at the time is was a relief to find out they did. This was mainly so we could watch from a far as Charlee uses the Libre with the MiaoMiao, so she has a cgm alongside a “flash” scan of her sensor. We are able to see her BGs…. even if she is 2.5 hrs away. As the camp weekend approach we started to gather up her supplies for her to bring, as well as her items needed for the camp itself. All I can say is thank goodness we had a duffle bag!! We acted cool and relaxed about it, we kept it light and only mentioned some of the dangers for her to be aware of as we weren’t going to be there; again all calm, all smiles, all relaxed conversations – but believe me, we weren’t! Our heads we spinning with nerves. When the day came, I was up an hour earlier than needed just to double check, got her up, gave her breakfast and got her gear on! She was all smiles, full of excitement with her game on attitude, totally ready to seize another day! Meanwhile I’m on my third coffee going through my mental check list and verifying with her if she remembered where everything was in her pack or Diabag or in her coat. I reminded her that her Flash Glucose Meter and her PDM go into the inside pocket of her coat during outdoor activities because of the temperatures (-15 to -21 depending) outside that weekend. Little eye rolls here and there, but she was ready. We had her numbers up on at least 2 devices the whole time and had each days’ itinerary on hand for reference. Over night we didn’t sleep much 1. to check the phone and app were on, and fully charged and 2. to help our son who had a low while asleep. She only texted us 3 times in total that weekend away – that was to verify her carb swag counts. One of the camp leaders contacted me to advise that she saw that Charlee’s BG was a little high after dinner. (Pasta dinner – shaking of the fist lol) Charlee had responded to her cgm, and corrected her BG before the leader even contacted me and the leader advised her to have water, which was in the paper work. I thanked the leader for letting me know, even though I was totally watching the BG screen at home, but was very happy to see that with the little training they had, they were amazing with her. When I went to pick her up Sunday afternoon, it turns out she astounded them! 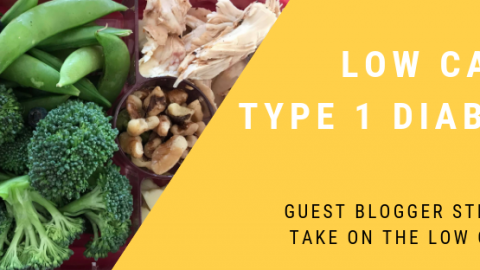 She answered all their questions about T1D, and showed them and some of the other girls how things worked. The best part? SHE DID IT ON HER OWN! We were nervous, and very uneasy about her being so far away and doing it on her own, but she was on point all weekend. She was aware of her body and responded to her cgm alarms that were in place, she bolused, corrected a pending low and carb swagged amazingly. Letting her take control wasn’t easy and probably never will be. 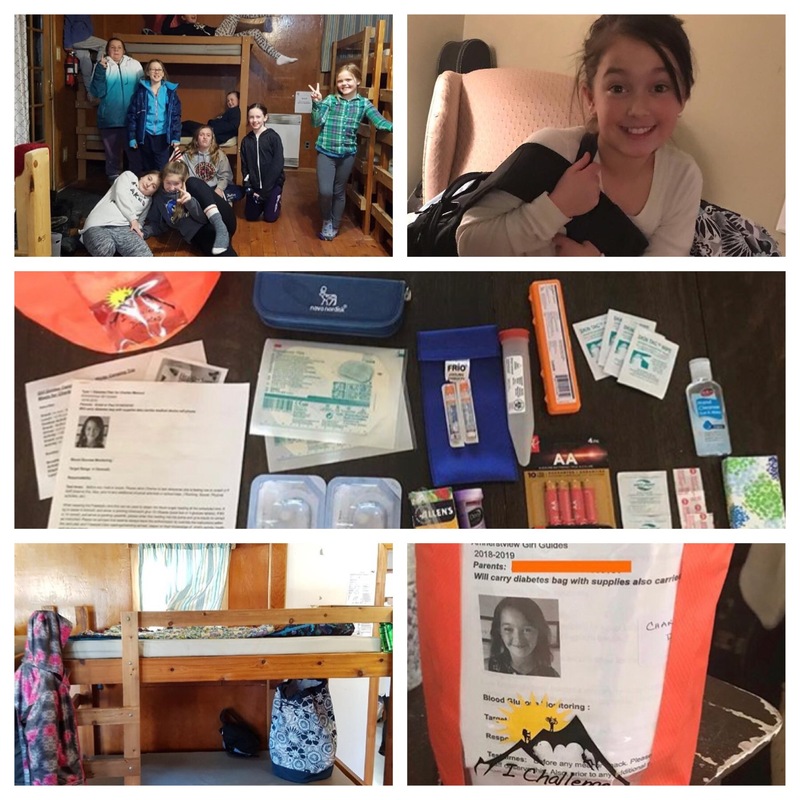 She did feel empowered by the weekends events by having a great time with friends, taking care of her T1D and all its nuances. She was however, quick to fall right back into place of being one of our T1D kids in the house, because being a human pancreas isn’t easy! Now where’s my glass of wine?! Cheers to all the T1D parents out there!